The Whiskey Smash is as classic as a cocktail can get. It is a simple drink and you can think of it as a citrusy take on the famous Mint Julep. It's a perfect way to dress up your favorite bourbon and a refreshing delight for everyday drinking. Though it had likely been enjoyed by drinkers before this time, we can date the Whiskey Smash to at least 1887. That is when it debuted in "Professor" Jerry Thomas' "Bar-Tenders Guide." There are many things to love about the Whiskey Smash. As with most classics, it's uncomplicated and requires just a shot of bourbon with hints of sweet, citrus, and mint. You'll need a muddler to mix it, but that is a tool that you'll want around anyway for drinks like the julep, Mojito, Old-Fashioned, and countless others. This is a cocktail that anyone can pull of and it always tastes great. You can even tweak it as you see fit to match a particular whiskey or use ingredients you have on hand at the moment. In a mixing glass, add the mint and lemon. Muddle thoroughly to release the juices and oils. Add simple syrup, whiskey, and fill the glass with ice. Strain into an old-fashioned glass filled with crushed ice. Though the recipe calls for bourbon, other styles of whiskey will work just fine in the Whiskey Smash. If you prefer a robust rye or a smooth Canadian, feel free to pour one of those instead. It's all a matter of personal preference. The drink will take on a different character with each whiskey you pour. For instance, if you want a sweeter smash, you might try Makers Mark. If you'd prefer something a bit spicier, Old Forester Signature should work quite nicely. In Thomas' time, sugar would have been used rather than simple syrup. If bartenders of the day were to use a syrup sweetener, it would most likely have been gomme syrup. Any of these options will work and it simply depends on what you have available in your bar. 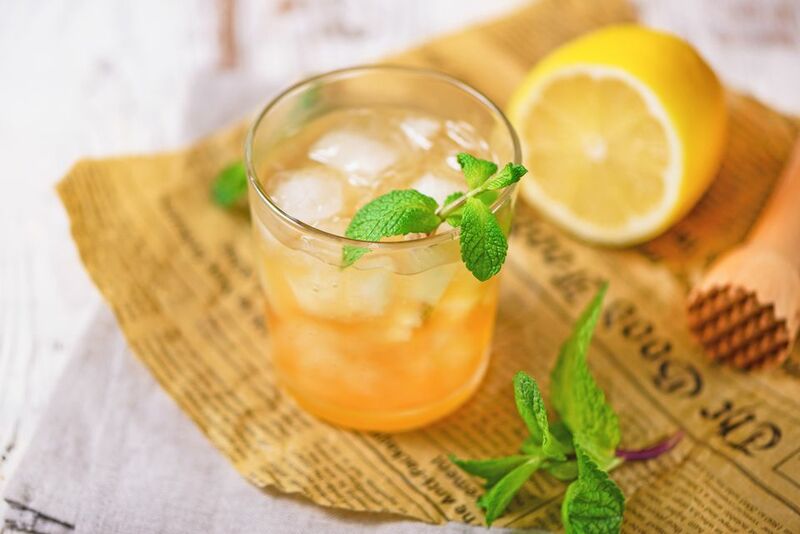 Lemon is often paired with whiskey because it's a good complement to the darker spirit. Where we use lime with rum for drinks like the Mojito, lemon tends to be the citrus of choice for whiskey cocktails as we see in the Whiskey Sour. In a pinch, orange would be a preferred choice over lime if those are the only citrus options you have. In that case, the drink becomes more of a minty Old-Fashioned. Thomas specifies spearmint in his Whiskey Smash recipe and it is the most common variety of mint available. Even many mints that are simply labeled "mint" are indeed spearmint. In reality, any mint will work and some of the newer hybrids like pineapple and chocolate mints can make a very interesting smash as well. The "3 to 4 sprigs" of mint does seem like a lot, especially for such a short drink. Yet, mint does not come in standard sizes, so adjust the quantity as you see fit. Dried mint is okay to use as well and some drinkers say they prefer its flavor over fresh. Experiment and see what you think. Rinse fresh mint before using it; it's easier to do this while it's still on the stem. To quickly remove the mint leaves from the sprig, hold the thick end firmly in one hand and run your other hand down the stem. The majority of the leaves should come right off and be ready for your glass. How Strong Is the Whiskey Smash? We don't add much to the whiskey when creating the Whiskey Smash, so this drink does not go far below the bottling strength of the whiskey you choose. If your whiskey is 80-proof, then the average Whiskey Smash would be around 23 percent ABV (46 proof). The Whiskey Smash is not as strong as similar drinks like the Old-Fashioned and that is because it is shaken rather than stirred. The dilution of the ice makes a big difference and mellows out the alcohol's flavor and impact on you.